Heat oil in a pan, add mustard seed, onion & sauté. Add red chilli powder,salt & mix well & allow to cook. Take the samosa sheet, add onion mix & fold it in the shape of a triangle. Deep fry in oil & serve with Tamarind chutney or Mint chat chutney. I am sending this recipe to priya's healing foods onion. I am also sending onion pakodas, kunuku to her event. They look so so good. Wish i got these sheets here. Looks so yummy, perfectly done. I like this samosa without potatoes...where do you get samosa sheet from? Dear all , thxs for ur lovely cooments..
cooking blog intexer - we can get this sheets from indian stores. ஆஹா மாலை நேரத்தில் டீயுடன் சாப்பிட செம ஜோர்!! 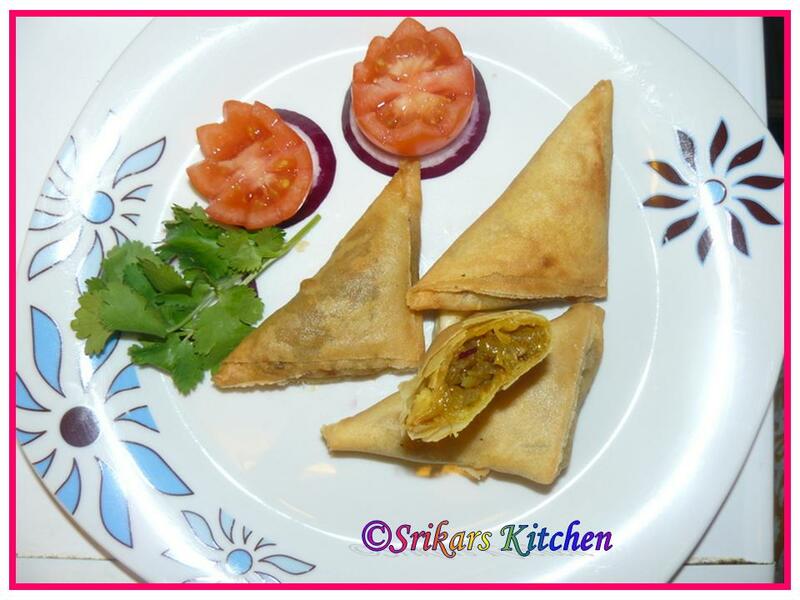 onion samosa looks really good. 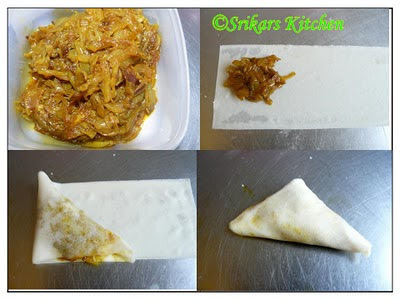 Thanks for sending Priya, am soo happy to see ur entries dear..
Woww crispy samosa makes me hungry, am drooling here..